I can't believe we are yet again at the end of the month. I used a good amount of my stash this month, but definitely added a bit to it. I ordered my FMF which was a big spluge, but one I've planned for months. 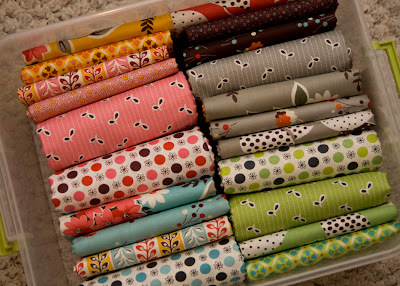 I also bought some I-spy fabrics for a little swap with a few friends. I did cut fabrics for two new quilts, also entirely from the stash..
Did you do any stash busting this month? 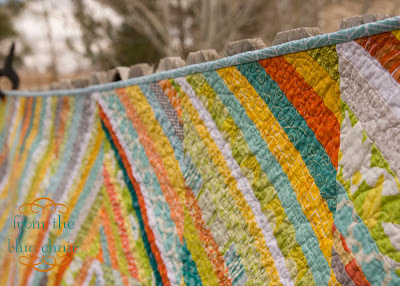 Link up any projects you made this month from your stash. 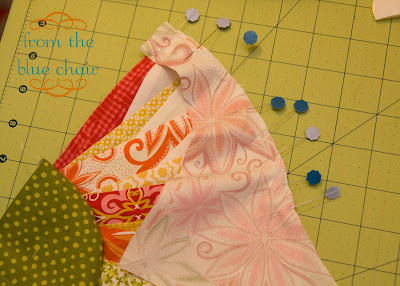 I'm challenging myself this month next month to cut into some of my favorite fabrics and make something fun. They aren't any good in the box. Zipit is sponsoring our little Slash the Stash link up this month. 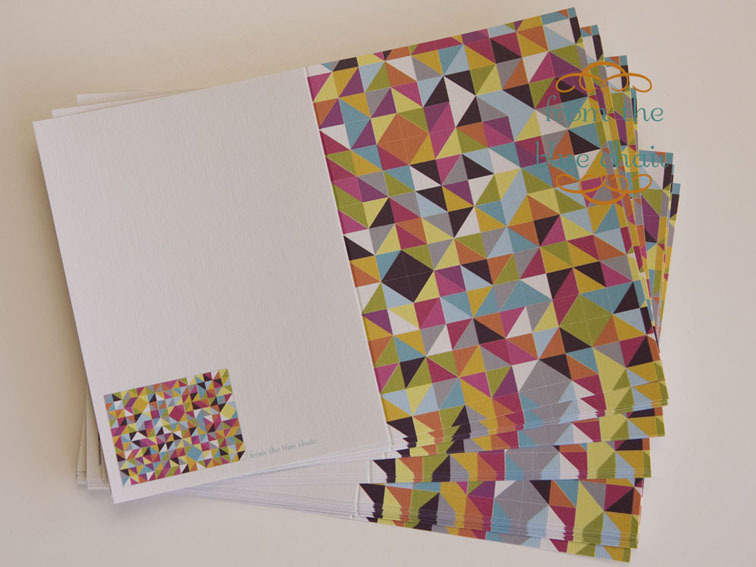 Jennie has generously offered a discount code of 15% off her store. Just use the code FROMTHEBLUECHAIR. There is no expiration on this code! Use it anytime you'd like. 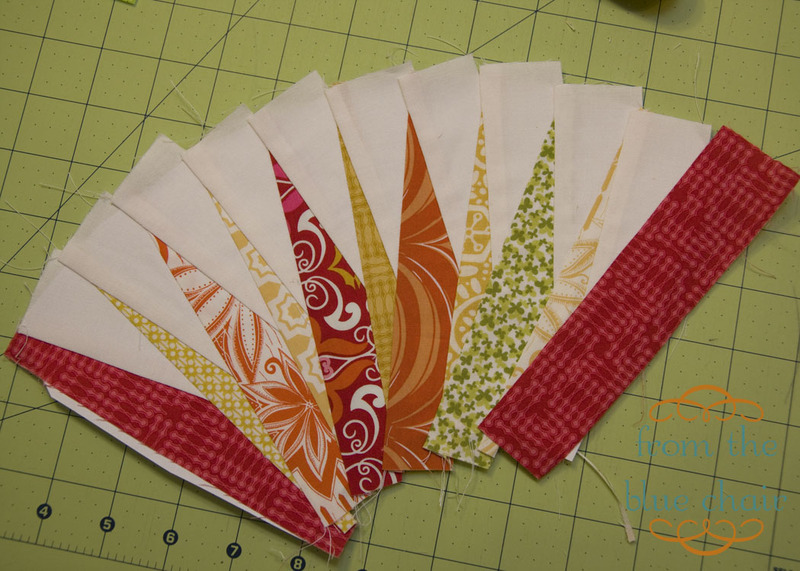 A while back I ordered a pack of 50 zippers from Zipit and have loved using them in pouches. 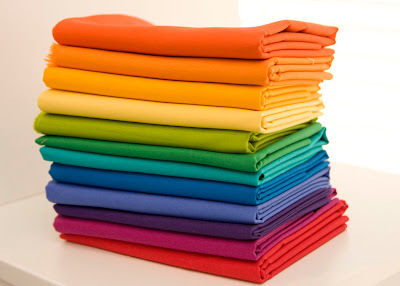 I ordered 9" zippers in all sorts of colors. Zipit is offering a $25 gift certificate to one winner! You can choose your favorite zipper colors. She also has some fabulous zipper pulls that I might need to order next time. Link up a stash project and leave one more comment saying you did so. Have a great weekend! Giveaway closes Thursday, April 5. 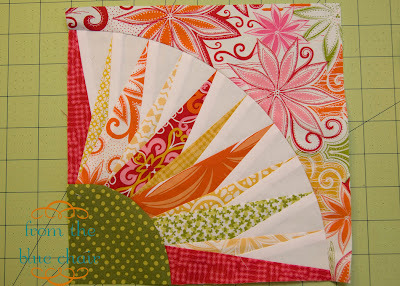 I was so flattered when I was contacted by The Modern Quilt Guild to feature my Thangles Mini this week on their 100 Days of Quilt--Week of Tools. 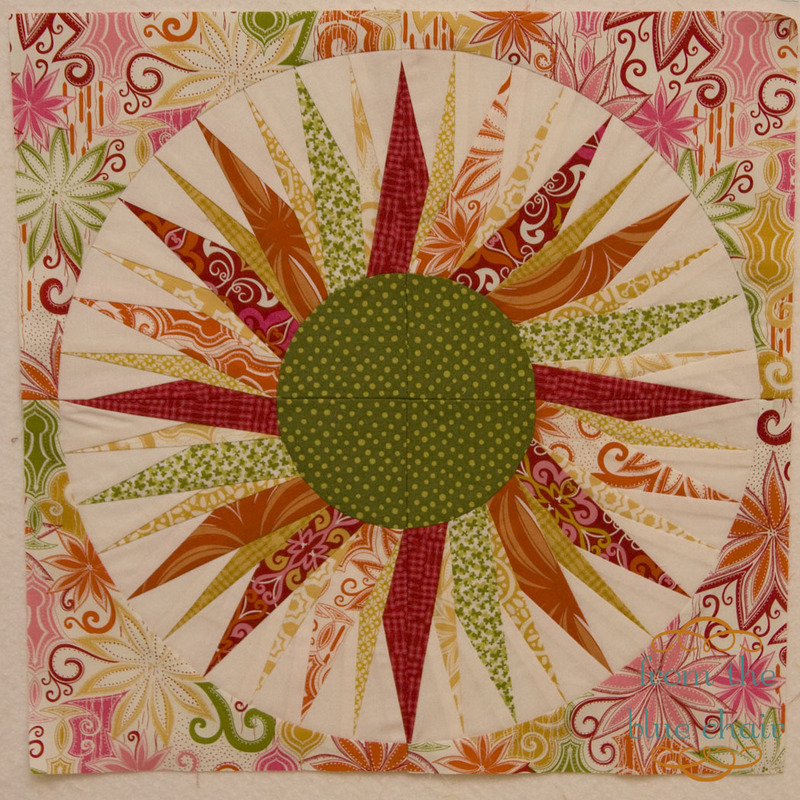 I have loved seeing all the great quilts through this online exhibit of great modern quilts. 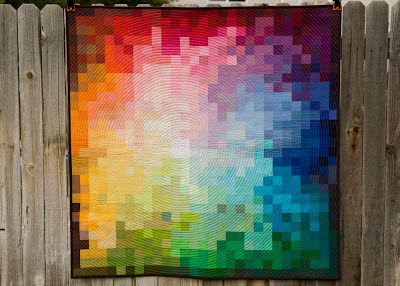 Speaking of exhibits, I was so excited to learn the other day that my Pixelated Color Wheel was accepted into the Modern Quilt Guild Showcase 2012! 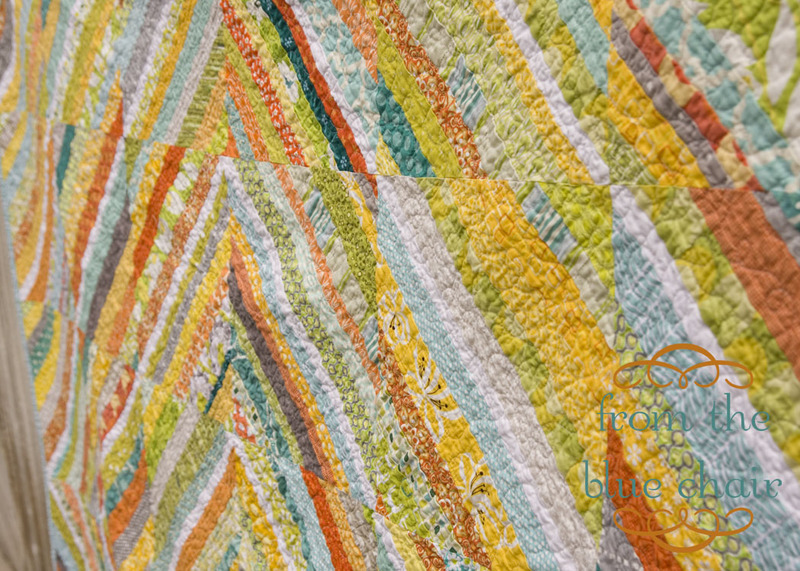 The exhibit will premiere at the International Quilt Market and Festival in Houston, TX. It will also travel to various other Festival and Market shows. I admit I have some mixed feelings about letting it go. 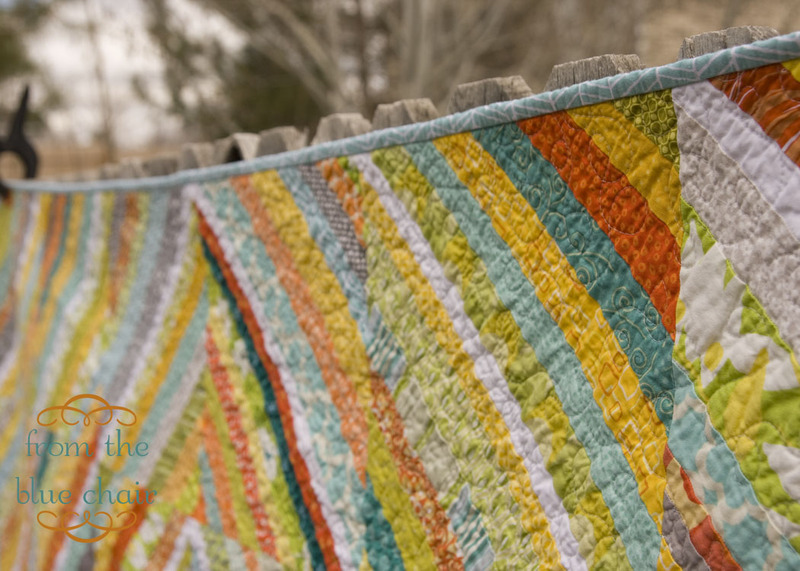 It's one of my very favorite quilts. A year is a long time, and my living room wall will be very naked. But, as my husband reminded me, "I'm sure you'll just make something else to go on the wall." He knows me well. 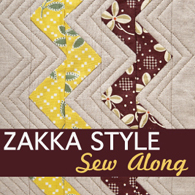 You've likely already heard about the Zakka Style Sew-Along. This is hosted by two of my buddies--Lindsey and Sukie (aka:Amy). 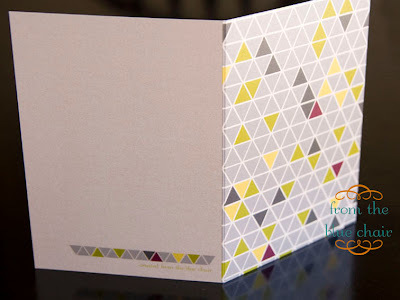 They are both currently hosting giveaways for copies of the Rashida's Zakka Style book. 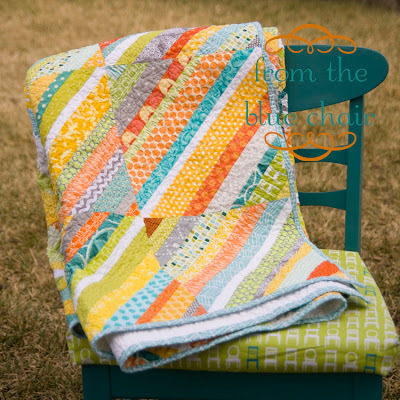 Each week a blogger on the list will make one of the projects from the book and post their take on the pattern. 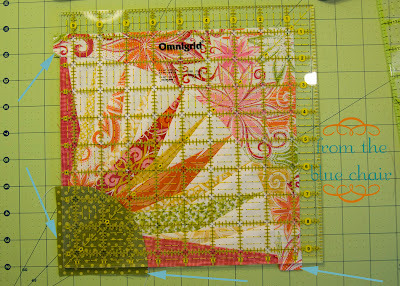 Projects for this sew-along will post each week through September. I'll be making the nesting boxes, but it won't post until the very end. You can certainly follow along with all the posts, but to actually participate and sew the projects you need the book. 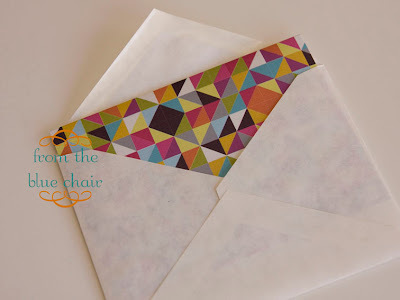 No patterns or specific instructions will be posted. It all starts April 2nd with a new project posted each Monday through September 10th. Join us for the fun! 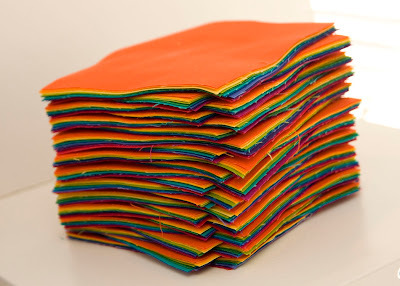 This morning I've been busy cutting stacks of color. 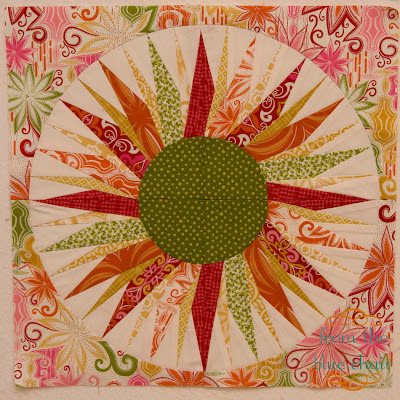 I'm teaching in April at our Modern Quilt Guild about color. I think it's much easier to understand color when you can learn more hands-on. Everyone will get a stack of 12 charms--one for each color in the color wheel. 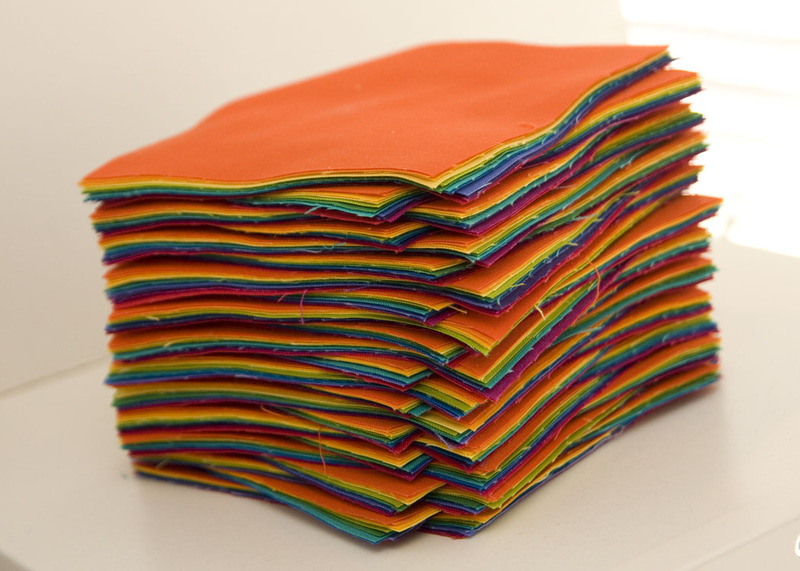 We'll talk about the different color arrangements with the stacks each member has in front of them. I'm really excited to teach our class. 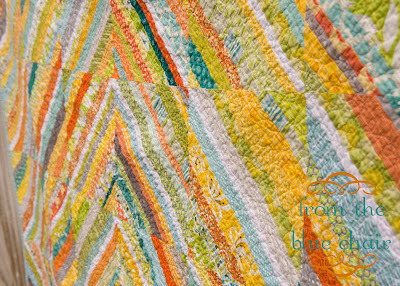 Kona colors: Tangerine, Orange, Papaya, Canary, Lime, Clover, Jade, Pacific, Lapis, Purple, Cerise, & Red. So, I completely forgot to post the winner of the note cards until now. Good luck with the etsy shop! Fun plans? Not much...probably the gym and some sewing. One of those is fun! I'll be in touch Annabella! Today we're doing Block 8 in the NY Beauty Quilt Along. 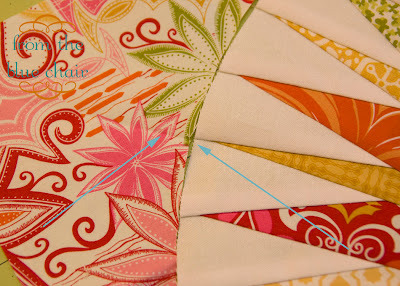 The full tutorial schedule is posted at Sew Sweetness. We've had some great tutorials so far from Kim, Sara and Megan. Head over to their blogs for more great tips. 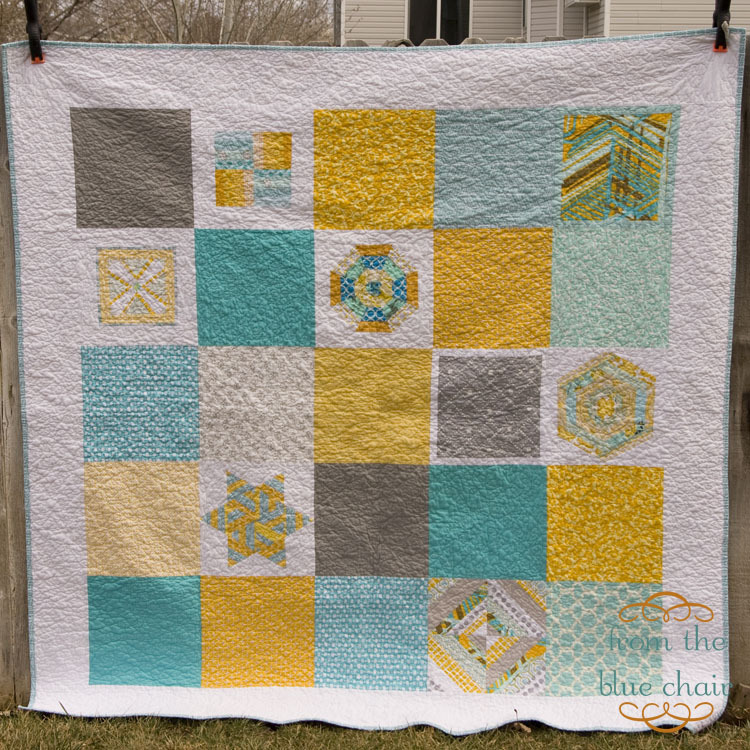 To add to what they have mentioned, I plan to share a couple things I did a bit different on this block than I did last time I made a New York Beauty block. 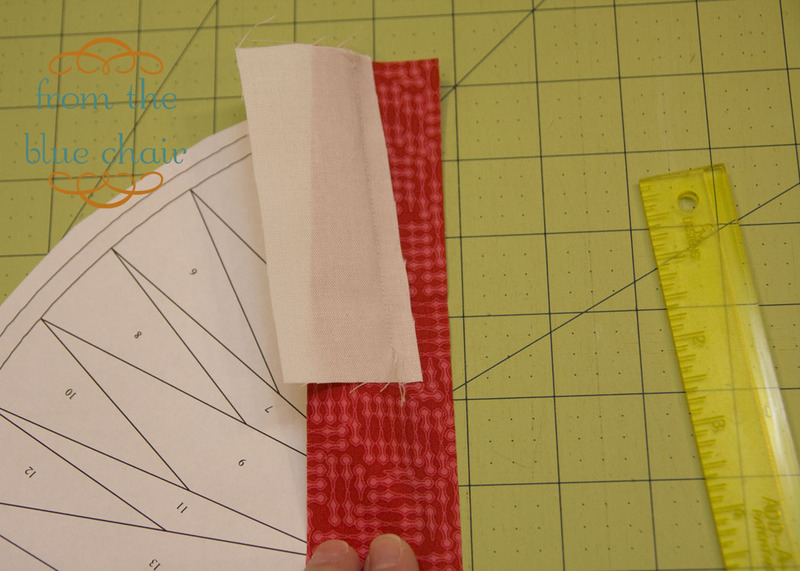 Tip #1: Making outer corners one piece instead of two and preserve the orientation of the fabric. 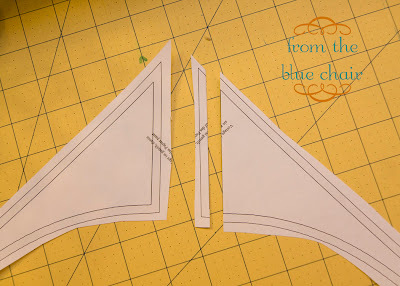 First, piece your outer templates into one piece. 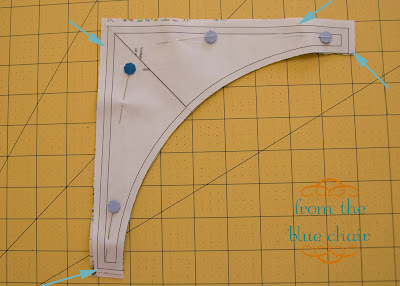 Slice off the seam allowance from one template. Then carefully tape them together ensuring that all seam lines match up. 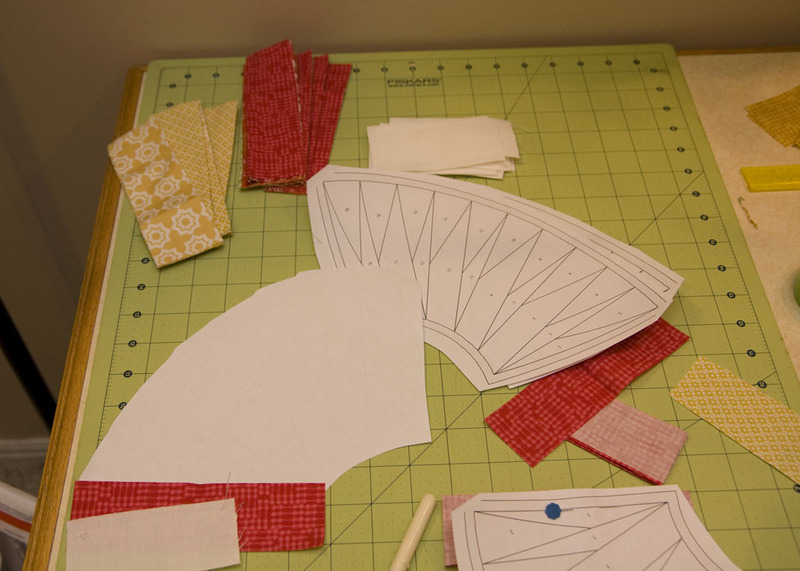 When cutting your fabric, line the template with the grain of the fabric and cut. 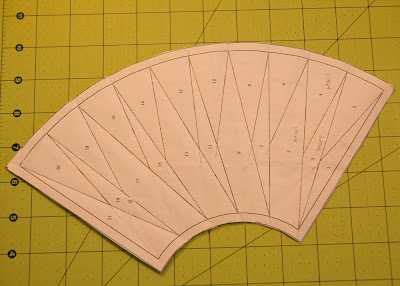 Rotate the template 90 degrees and cut a second section. Repeat this step two more times until you have four corner sections. 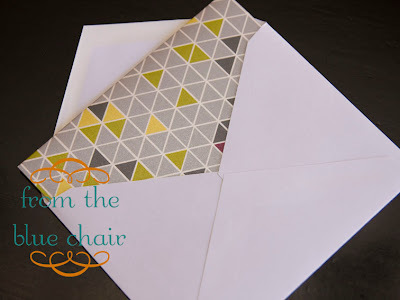 By doing this you will have all four corner sections with the design oriented correctly which is perfect if you plan to use four of the same block together for a pillow or other small project. 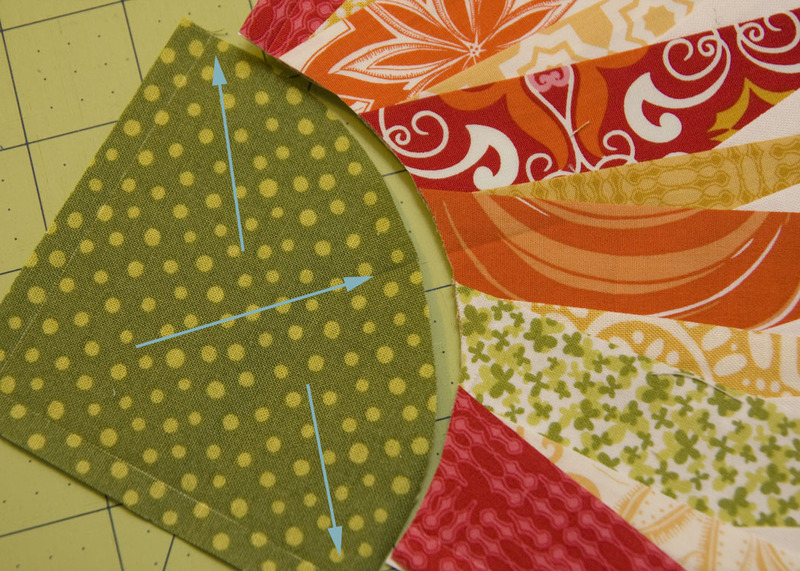 Tip #2: Cut outer block seams 1/4" large to allow a bit of wiggle room when squaring blocks. 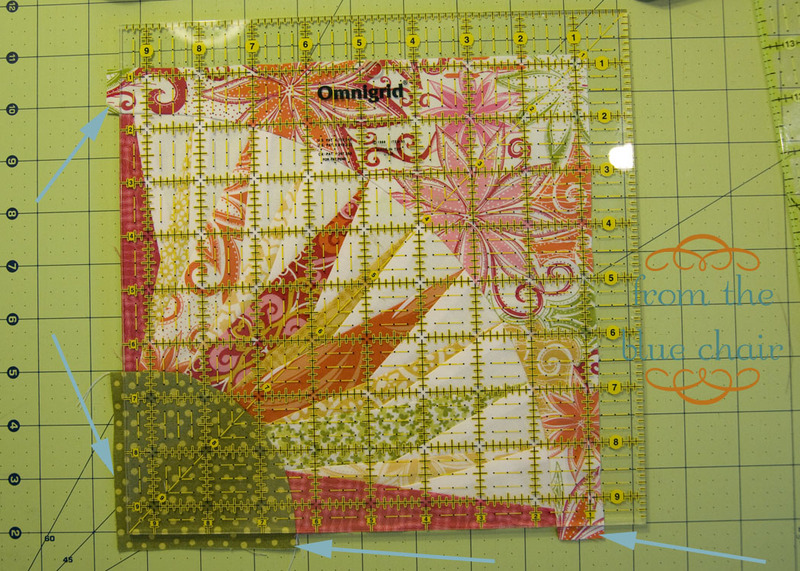 A big challenge when making my first NY Beauty blocks was the fact that nothing ever squared up quite right. I seemed to be just 1/8" off, but that's enough to mess things up. 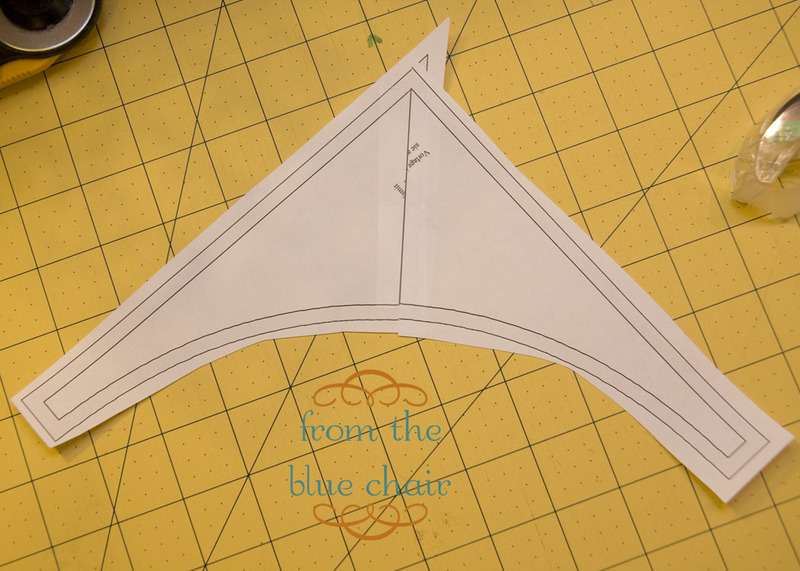 I experimented and gave myself a little wiggle room on the corner templates and the inner template and found this worked out great for me. 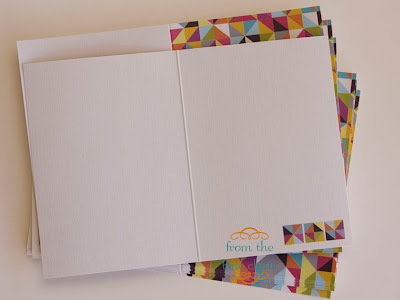 Give yourself exactly 1/4" extra on the outside edges of the corner template and the inside template. This might not work for everyone, but I thought I'd share how it worked for me. Cut the curve according to the pattern, but use a ruler to slice your fabric 1/4" from the pattern line on the outside edges. Now we're ready to start piecing this guy together. 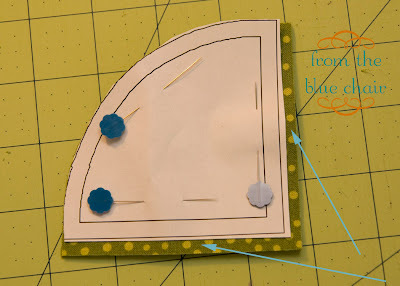 1 inside corner cut with the template. 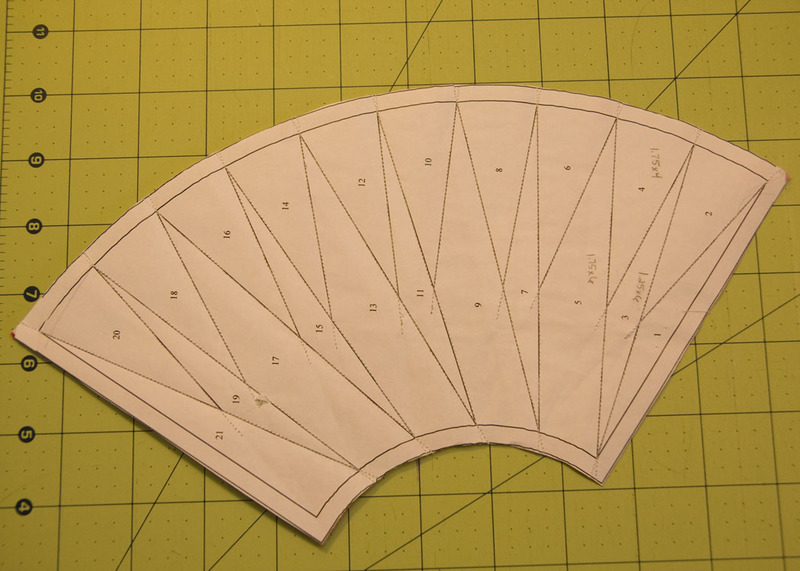 1 outer corner cut with the template. I chose to make four of the same block. Piecing went fairly quickly since each block was identical. After piecing each new fabric, I always trim the excess to 1/4" I have an Add-A-Quarter Ruler and love it for this. The little ridge on the ruler helps keep it in place so you don't slip when trimming the bulky seams. After piecing the entire section, you'll have something like this. 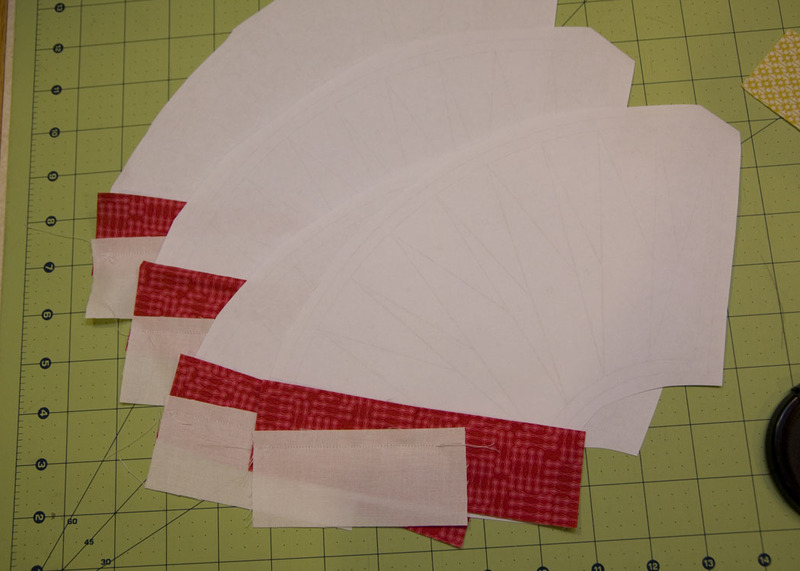 Carefully trim to the pattern lines. Now it's time to piece everything together. Mark the excess 1/4" on the outside of the green piece. Match this 1/4" mark with the outside edge of the pieced section and pin. Pin at the centers, and pin the other edge, also at the 1/4" mark. Slowly sew this curve. 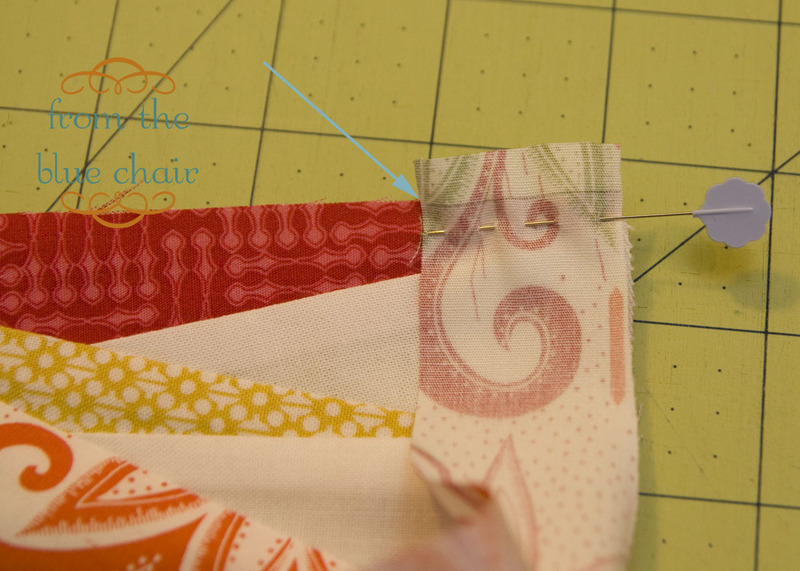 If you have to give yourself a little slack at the end of the seam it is okay because of the extra fabric. Repeat with the outer section. 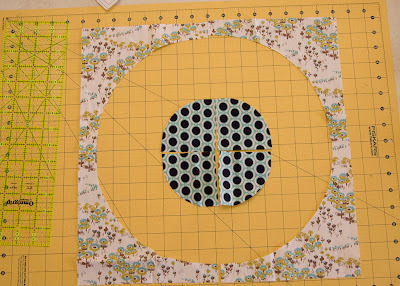 Pin at the center of each section. 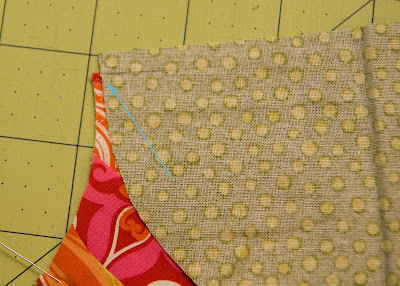 Then pin at the excess 1/4" mark. 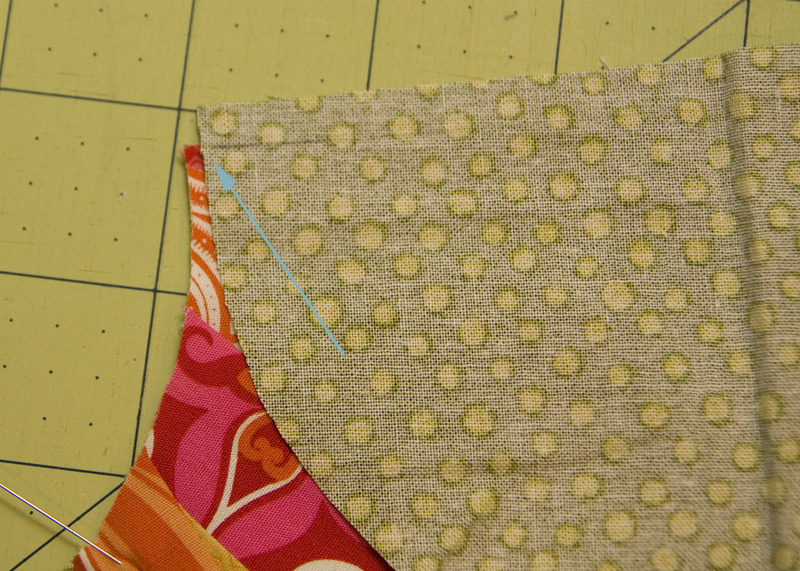 Pin well around the curve and sew. Press well then square the block to 8.5". 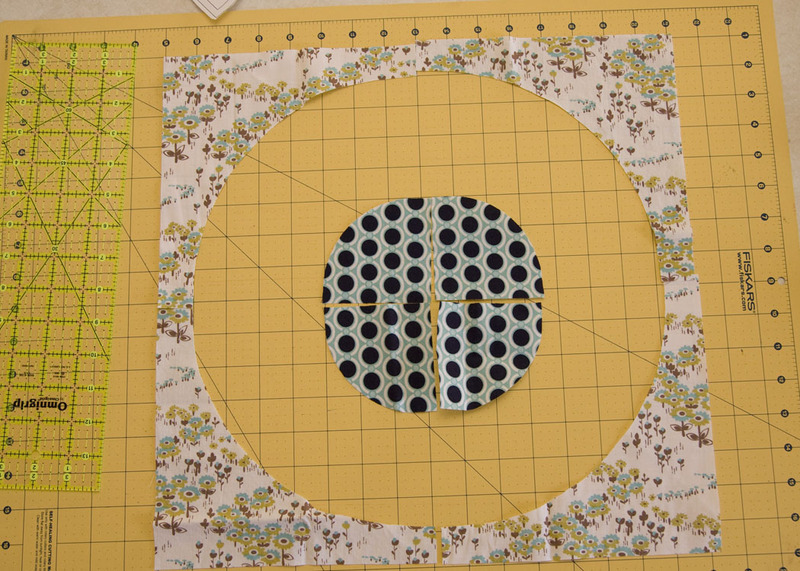 That extra 1/4" is expected and will help me create a perfect 8.5" block. It's time to square everything up. 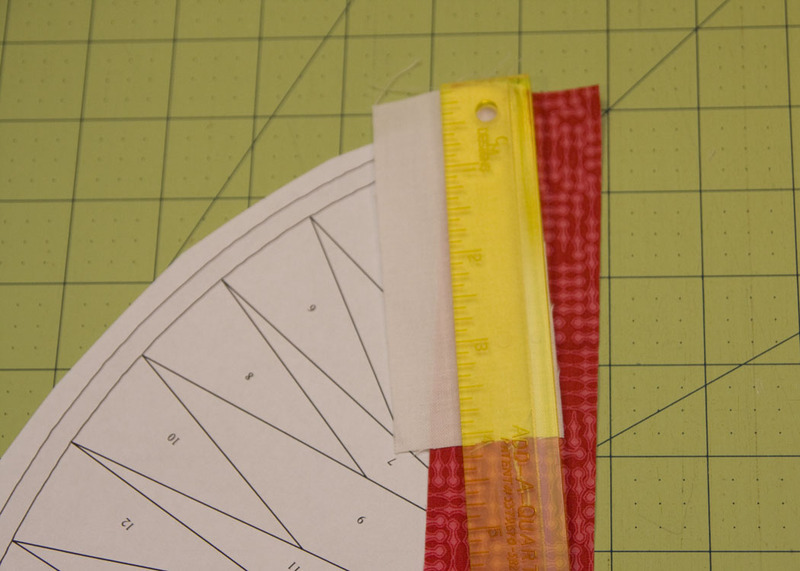 Line up a square ruler with each edge of the pieced center section. 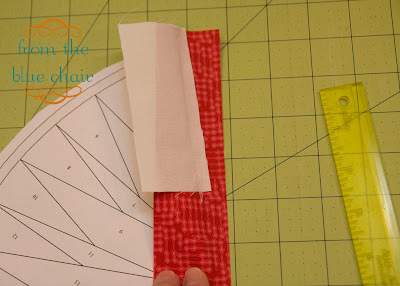 Trim excess fabric. 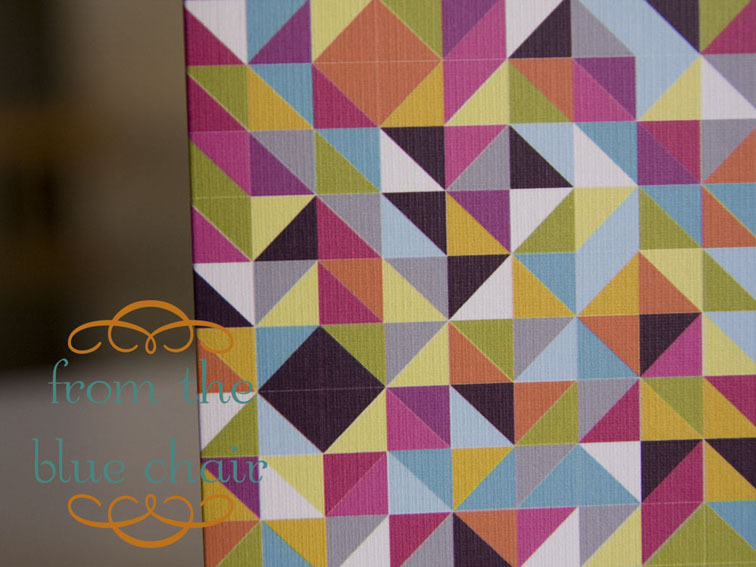 Now line the 8.5" line of the ruler with the clean edges and trim the remaining two sides to give a perfect 8.5" square. You never want to trim the pieced center section if you can avoid it. This is the most critical part of the design. 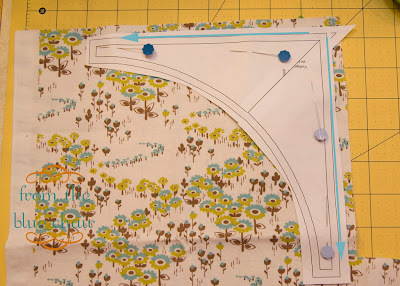 By giving myself a little extra fabric to work with around the edges I was usually able to square the block without trimming my pieced points section. 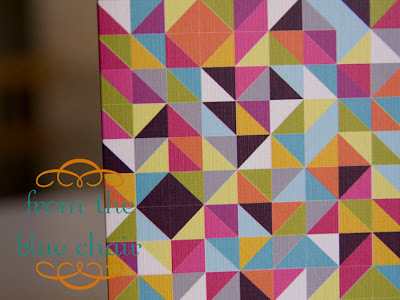 If you choose to make all four blocks, it will turn out something like this--perfect for a pillow or mini quilt. It's not to late to join up with the QAL. Check out the flickr group and add your photos of NY Beauty blocks. I finally decided to open an Etsy shop. I have been thinking about it for a while as I'm planning to destash quite a bit. 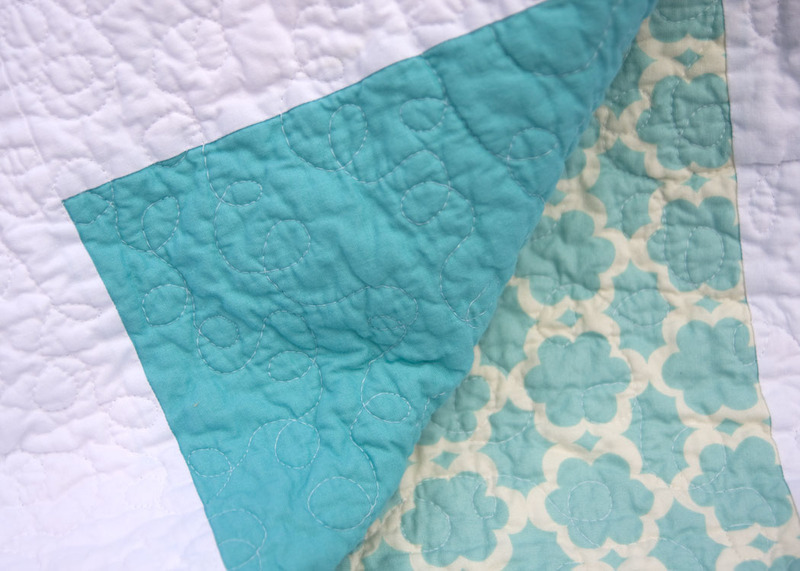 I might even list a couple quilts. 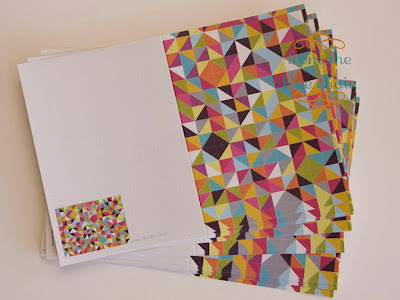 Also, it seemed to be a perfect time to list a few of my note cards to sell. Depending on how things go, I'll add more designs down the road, for now I have two designs available. 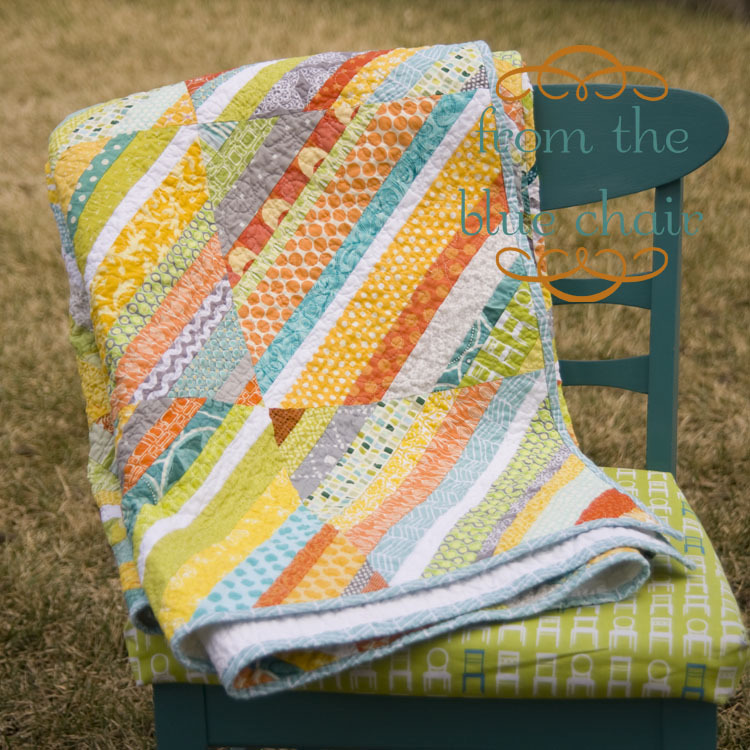 This colorful HST design was based on my Thangles Mini quilt I shared earlier this month. 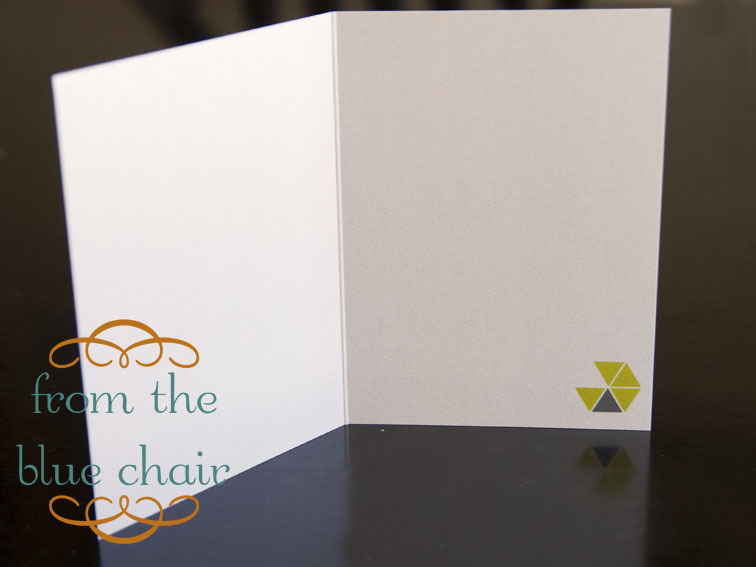 It's professionally printed on art linen card stock. These cards are 4.5" x 5" and come with parchment envelopes. 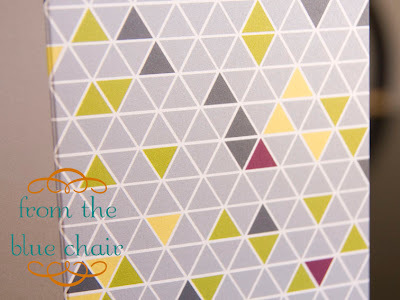 The second design is a grey triangle pattern that I would love to make into a quilt one day. It's printed on a pearl card stock that gives the design a slightly shimmery, metallic look. This card is also 4.5" x 5" and comes with white envelopes. So head over to my new Etsy shop! Use the code BlueChair10 and get 10% off your order. I'll be posting fabric to destash very soon. Finally, for the giveaway!! 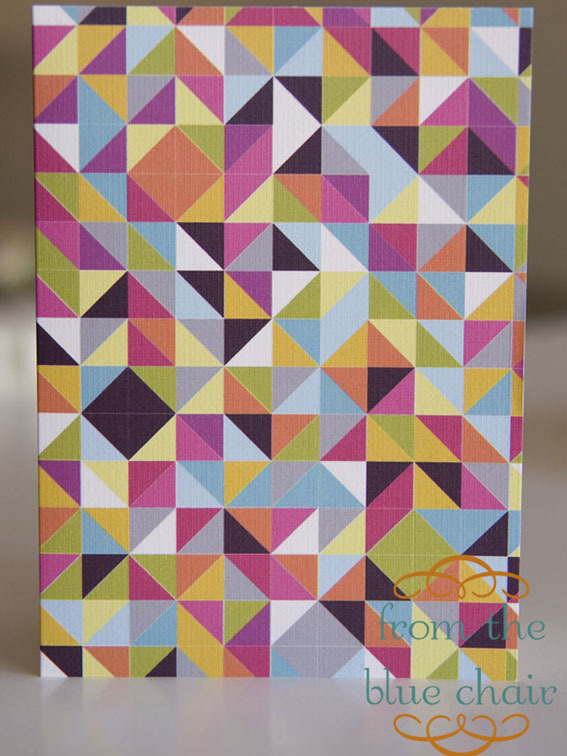 One winner gets to choose a set of five cards of either design. Just leave one comment telling us your fun plans for the weekend. Mr. Random will pick the winner on Tuesday, March 27. Make sure I have a way to contact you if you win. 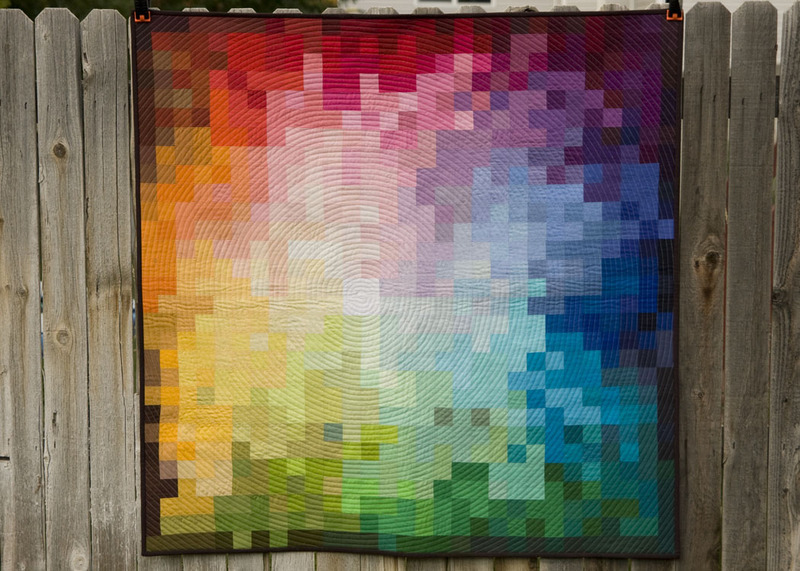 This quilt was a collaboration of many wonderful quilters from two different quilt bees. 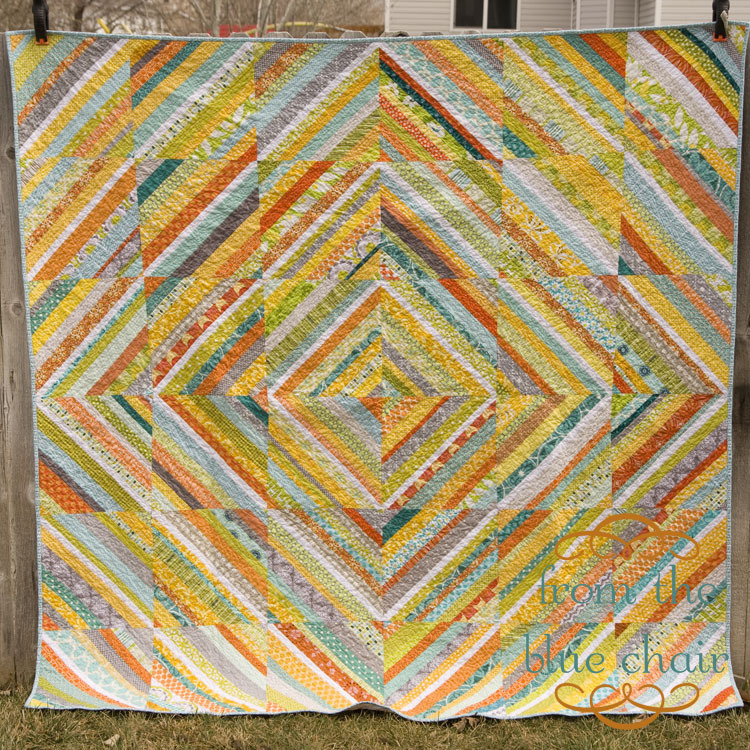 The front was completed with the help of my quilt bee buddies from the Salt Lake Modern Quilt Guild. Each member of our bee did two strings blocks for me. I completed 16 more to finish this top. All of the fabrics are from my stash. This has to be one of my favorite color combos of all time. 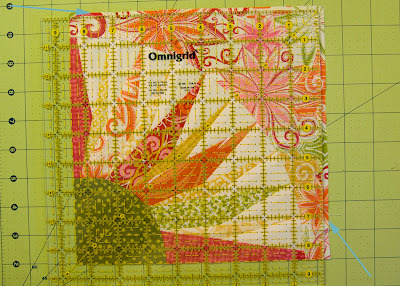 The finished size is 72" x 72". 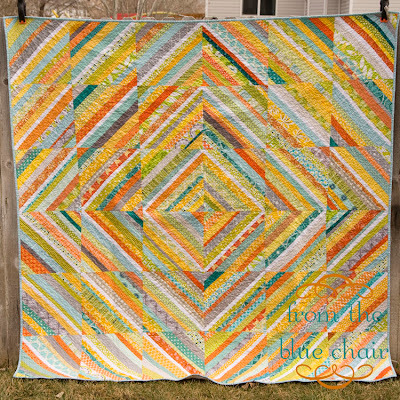 The back resulted from one round of the 4x5 Modern Quilt bee. 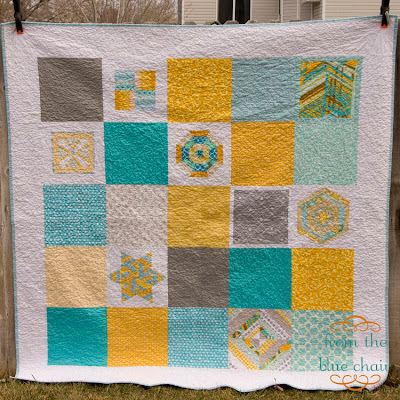 The idea behind that bee is to make 5 of the same block for 5 different quilters in their desired colors. 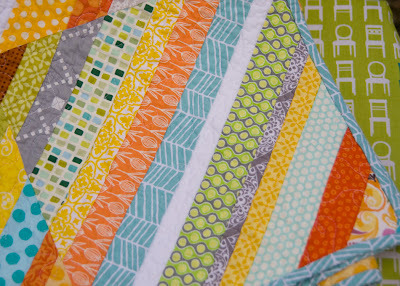 If you do the bee all four quarters you have 20 sampler blocks for a fun quilt. I chose not to continue past the first round. I was just trying to do too much, and some things had to go. 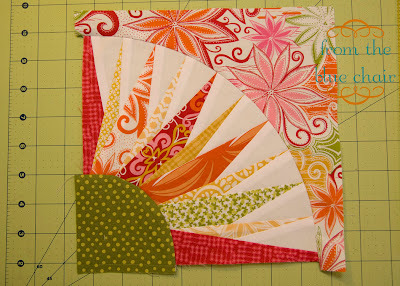 I got some really fun blocks and didn't want them to go to waste so I came up with this arrangement for the quilt back. I did fairly tight loopy quilting. 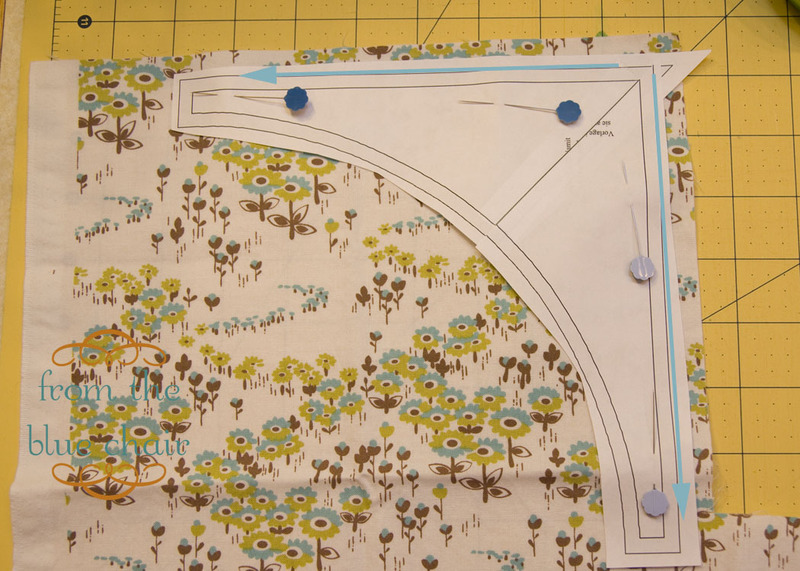 I was a little concerned about all of these seams and wanted them tacked down quite well. 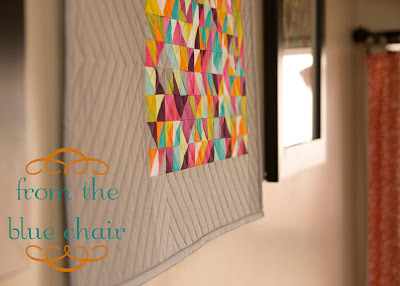 This quilt goes perfectly with my blue chair! Definitely my favorite stash buster of the month. Speaking of using your stash, don't forget Slash the Stash at the end of the month. 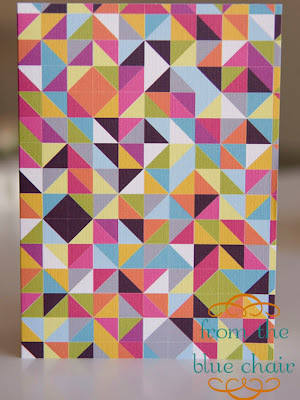 We have a fun giveaway and promo code coming from Jennie over at Zipit.